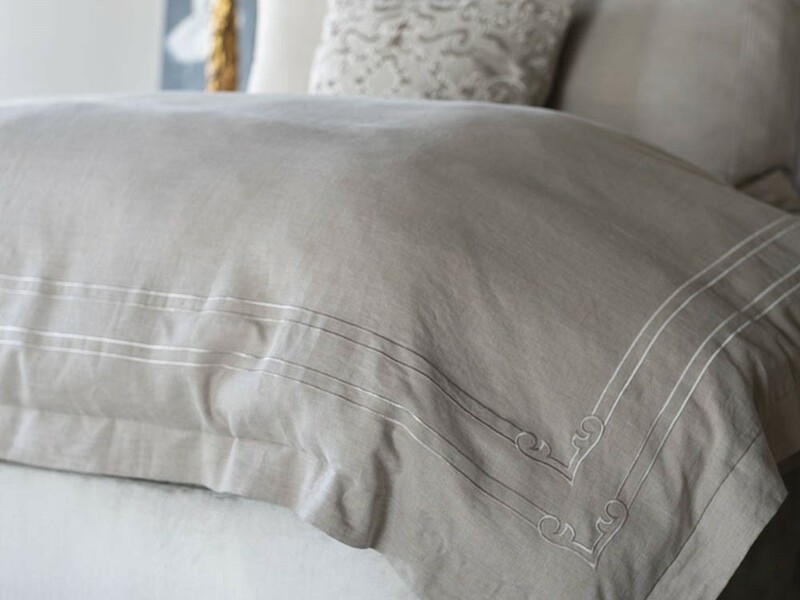 Casablanca King Duvet (112x98) is made of White Linen with a White Linen Double Border Applique on the perimeter. 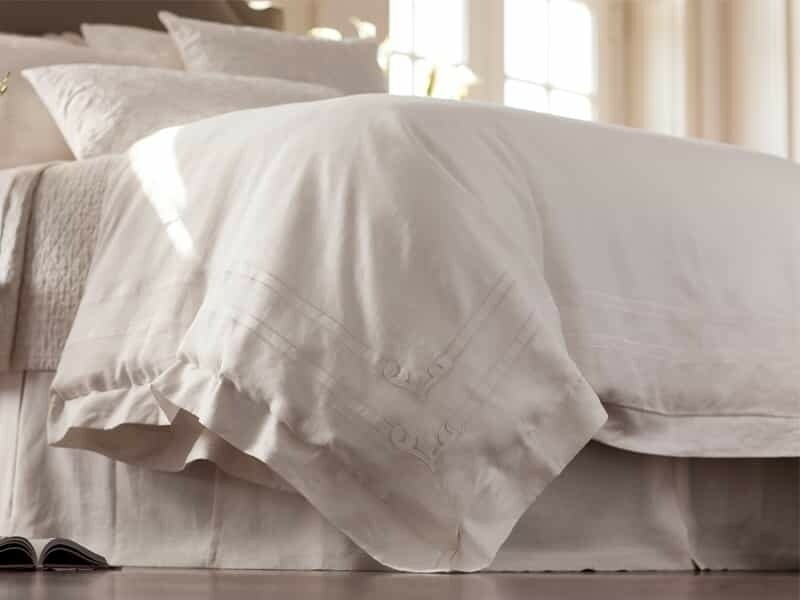 A duvet insert is Not included. Machine Washable. Imported.